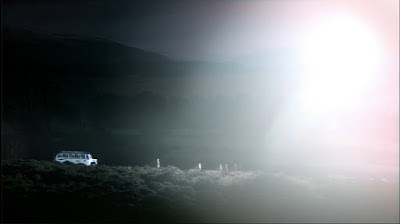 Tonight BBC America is airing episode one of the Torchwood miniseries, "Children of Earth". Here are a few screencaps to get you started, only slightly spoilery. 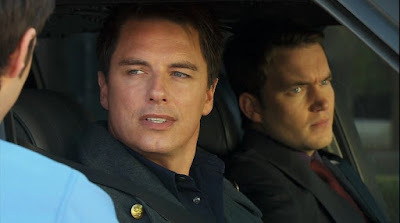 Stay tuned to the TV News and Reviews blog for more Torchwood goodness. 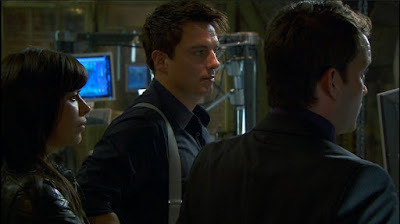 Go on to Torchwood Children of Earth screencaps part 1b. John Barrowman as Captain Jack Harkness, Eve Myles as Gwen Cooper, Gareth David-Lloyd as Ianto Jones, Rik Makarem as Dr. Rupesh Patanjali, Cush Jumbo as Lois Habiba, Peter Capaldi as John Frobisher, Torchwood: Children of Earth screencaps, c2009 BBC Wales, America.